Once upon a time, many thousands of years ago, a proud and independent nation lived and thrived in its own land in the heart of the Middle East. Down through the ages, although subject to many foreign invasions, this ethnically distinct people refused to be integrated with their various conquerors, but retained their individual culture. At the start of the First World War, their country was a small part of the Ottoman empire. In shaping the future Middle East after the war the Allied powers, and in particular the United Kingdom, promised to act as guarantors of this people’s freedom. That promise was subsequently broken. No, this is not the story of the Jewish people. It is the broad outline of the long, convoluted and unresolved history of the Kurds. The Kurds – more than 30 million strong – are the largest stateless nation in the world. Historically they inhabited a distinct geographical area flanked by mountain ranges, once referred to as Kurdistan. 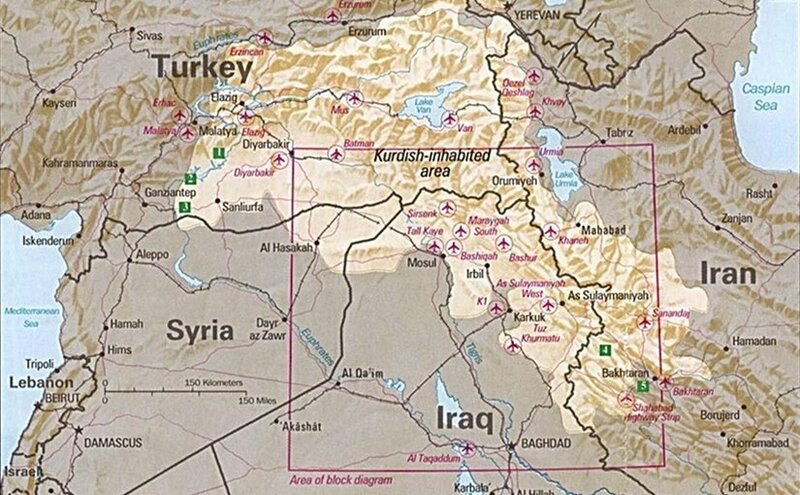 No such location is depicted on current maps, for the old Kurdistan now falls within the sovereign space of four separate states: Turkey, Iraq, Iran and Syria. Most Kurds – some 25 million – live within Turkey’s borders, but the 2 million Kurds in Syria are the country’s largest minority, while within Iraq the 5 million Kurds have developed a near autonomous state. Nearly 7 million Kurds are trapped inside Iran’s extremist Shi’ite regime. It was shortly after the end of the First World War that, orchestrated by Britain and France, the dissolution and partition of the Ottoman Empire were set out in the Treaty of Sèvres. In abolishing the Ottoman Empire, the treaty stipulated a referendum to decide the issue of the Kurdistan homeland. That referendum never took place, and the Sèvres treaty itself was rendered null and void in 1922 by the establishment of the Turkish Republic under Kemal Ataturk. What followed was a new treaty, the Treaty of Lausanne, which gave control of the entire Anatolian peninsula, including the large portion of the Kurdistan homeland that lay within it, to the new republic. With a stroke of the colonial pen over 20 million Kurds were declared Turkish. Kurdish nationalism in Turkey developed largely as a reaction to the secular nationalism that revolutionized the country under Ataturk. After years of struggle, Mustafa Barzani emerged as the figurehead for Kurdish separatism. Comprising about 20 percent of Turkey’s 77 million population, fractious Kurds were a constant political problem for Turkey. In Syria the civil war, starting in 2011, brought the Kurds to the forefront of the region’s politics. In the face of Islamic State’s (IS) military advance, Syrian government forces abandoned many Kurdish occupied areas in the north and north-east of the country, leaving the Kurds to administer them. In October 2011, sponsored by Iraqi Kurdish President Masoud Barzani, the Syrian Kurds established a Kurdish National Council (KNC). The KNC is now initiating elections intended to consolidate an autonomous Kurdish region within whatever Syrian state eventually emerges. Years of rebellion by the Kurds of Iraq ended in 1970 with a peace deal with the government, granting the Kurds a degree of self-rule and recognition of their language. When Mustafa Barzani died in 1979, the leadership of the KDP passed to his son, Masoud. But a new rival force had emerged in Kurdish politics with the founding by Jalal Talabani of the Patriotic Union of Kurdistan (PUK). The journey towards a unified Kurdish movement in Iraq was long and bitter, but finally, in 1998, a joint leadership deal was signed. Eventually the PUK and the KDP set up a unified regional government, and Masoud Barzani became a member of Iraq’s Governing Council. When the Americans invaded Iraq in 2003, the Peshmerga troops of the Kurds – who retained bitter memories of Saddam Hussein’s poison gas attack on the Kurdish town of Halabja – joined in the fight to overthrow him. After he was driven from office the Iraqi people, in a national referendum, approved a new constitution which recognized the Kurdistan Regional Government (KRG) as an integral element in Iraq’s administration. Barzani was elected President of Iraqi Kurdistan in June 2005. In June 2014 the Islamic State (IS) began its conquest of much of western and northern Iraq. The Iraqi military largely disintegrated. It was Kurdish Peshmerga forces that stepped in, taking control of Kirkuk and other northern areas long claimed by the KRG but until then outside its control. The Peshmerga subsequently proved to be the most effective of the anti-IS fighting forces, backed as they were by the US-led coalition which adhered to its “no boots on the ground” policy. Masoud Barzani (President, Kurdistan Regional Government). Photo by Widmann, Wikipedia Commons. In June 2017, with Mosul in the final stages of being recaptured from IS, Kurdish president Barzani announced that an independence referendum would take place on 25 September 2017 encompassing not only the area within the administration of the KRG, but also three adjacent regions, largely occupied by Kurds but claimed by the central government. In announcing the referendum, the leadership made it clear that a “Yes” vote would not automatically trigger a declaration of independence. It would, however, greatly strengthen the Kurds’ bargaining position in future talks with the central government on self-determination. Turkey’s initial reaction to the referendum announcement was critical. So indeed was that of the US and the UK – the main burden of their opposition being that the referendum was “untimely”. 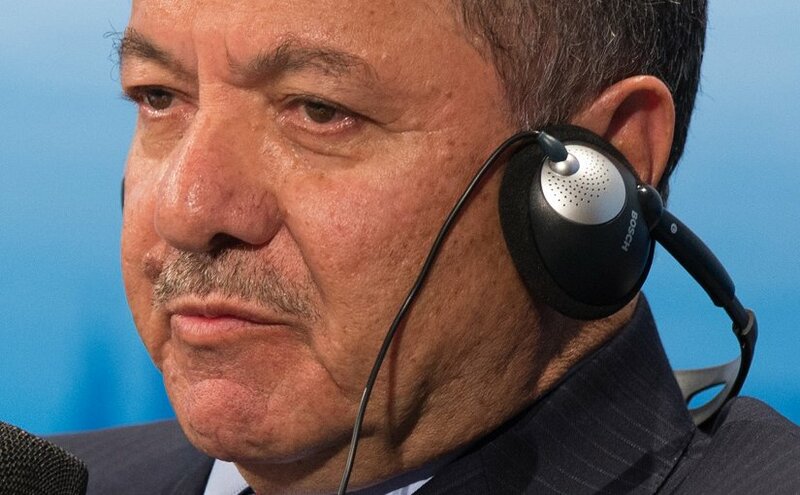 The US understood “the legitimate aspirations of the people of Iraqi Kurdistan”, but believed that they should concentrate on repairing the ravages of war and on collaborating with, rather than confronting, the central government. Baghdad had already rejected the referendum call. “No party can, on its own, decide the fate of Iraq, in isolation from the other parties,” said Saad al-Haddithi, Iraqi government spokesman. Shortly after Barzani announced the referendum, Saudi Arabia came out in support. Other Sunni states in the Saudi-led coalition are likely to follow, since Turkey is siding with Qatar in their current conflict. Then on July 25, 2017 Russia’s foreign minister, Sergei Lavrov, in perhaps a knee-jerk reaction to the US’s position, announced support for the referendum. The Kurds are a brave and battle-hardened people yearning for national independence and the right of self-determination. Long the powerless pawns of others’ interests, in taking this next step towards achieving autonomy the Kurds merit support. When the time comes for them to declare an independent Kurdistan, perhaps combining the areas in Iraq and Syria under their control, they deserve the recognition of the free world.